The need for shelter beds in Seattle recently tripled, prompting a creative response. 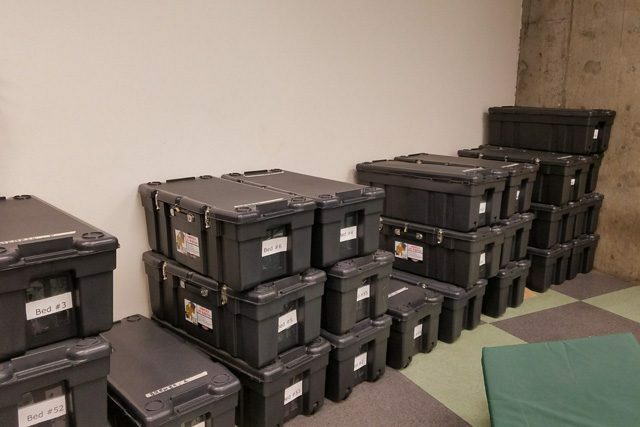 With the homelessness crisis in full swing in her city, Seattle Mayor Jenny Durkan settled on an unusual approach to free up space for more downtown shelter beds. The City of Seattle implemented the mayor’s $13 million plan to help bring more people in off the streets—and now an even larger portion of those in need are sleeping right alongside the mayor’s workspace with the help of The Salvation Army. The lobby of Seattle City Hall has been converted into an emergency overnight homeless shelter for men and women. 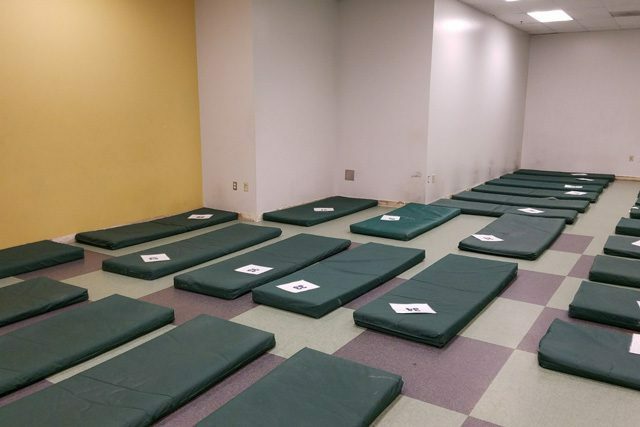 And beginning in July, The Salvation Army expanded the number of beds available—nearly doubling the number from 80 to 155—with the potential to increase more as safety and compliance regulations allow. It’s considered low-barrier housing, which means the staff doesn’t check for sobriety or identification, which have traditionally prevented some people from getting inside and connected to more help. With the additional beds, the overall total of Salvation Army shelter beds in downtown Seattle is nearly 600. The shelter, which operates in partnership with the City of Seattle, is open year-round for the homeless, on a walk-in basis. The lobby sleeps 25 women and 50 men, while the new expansion on the top floor of the building will be open to both men and women on a first-come, first-served basis. Guests receive a clean mat and blanket for the night, and can safely store their belongings in the room. While some initially expressed concern over the idea to use City Hall as a shelter, both government officials and shelter guests have found the arrangement to be a good fit. Mornings pose the biggest challenge since there’s a short turnaround between guests using the restrooms to change and get ready for work and those from City Hall arriving at the office. But helping people get indoors and away from the harsh weather conditions is just the first step to a better path, Moorhouse said. The most important goal is to help create a touchpoint for access to more services that can help people find permanent housing and job situations, including support for substance abuse and mental health. His staff of 18 rotates between four shelters within a three-block radius of City Hall—and typically handles a caseload of 15 to 20 people looking to get into more permanent housing at any given time. An additional outreach worker has been added to help with providing further resources, such as vouchers for identification, which opens the door to employment and access to more social services. That’s why getting indoors first is such a critical component to helping to solve the crisis, Durkan said. For Moorhouse, it’s all about building trust with those in need.